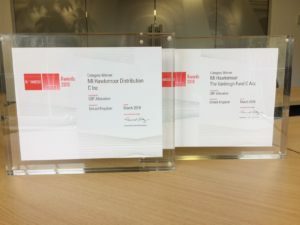 We are extremely proud that Hawksmoor’s Distribution Fund has been announced as a winner in the Morningstar UK Fund Awards 2019 – in the ‘Best GBP Allocation Fund’ category. It is particularly satisfying for the Distribution Fund to win this award – as last year’s winner in the same category was our Vanbrugh Fund! You can read more about the Morningstar 2019 UK Fund Awards here.